Underwater testing of an airlock design for the new Gateway station near the Moon. Assembly of a new habitable structure near the Moon, known as the Gateway, is scheduled to begin in 2023. The international project will allow humans to explore farther than ever before and it brings new opportunities for European design in space. 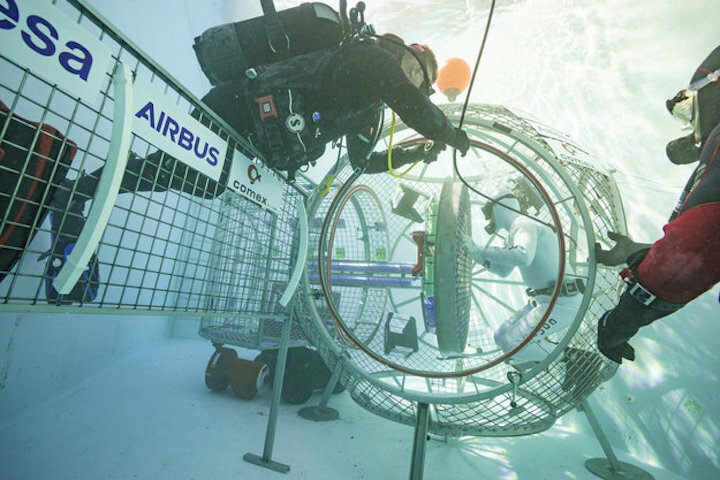 In late 2018, ESA commissioned two consortia – one led by Airbus and the other by Thales Alenia Space – to undertake parallel studies into the design of a scientific airlock. Similarly to the Japanese Experiment Module Kibo on the International Space Station, this airlock will allow scientific experiments to be transferred from the Gateway to and from outer space. 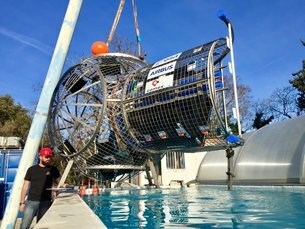 ESA study manager Philippe Schoonejans says this was important to “mimic the environment of the Gateway in which astronauts will be floating around in regular clothing”. “Through the testing, we were able to confirm that this preliminary inner design would be compatible with tasks astronauts are expected to perform in weightlessness and identify the best place to put handrails to ensure optimal stability of the crew as they carry out payload handling and airlock operations,” Hervé says. So, what exactly are the next steps? Philippe says for Airbus and Comex this was a confirmation and fact-finding mission. They will now use the test results to refine their concept and streamline their design.